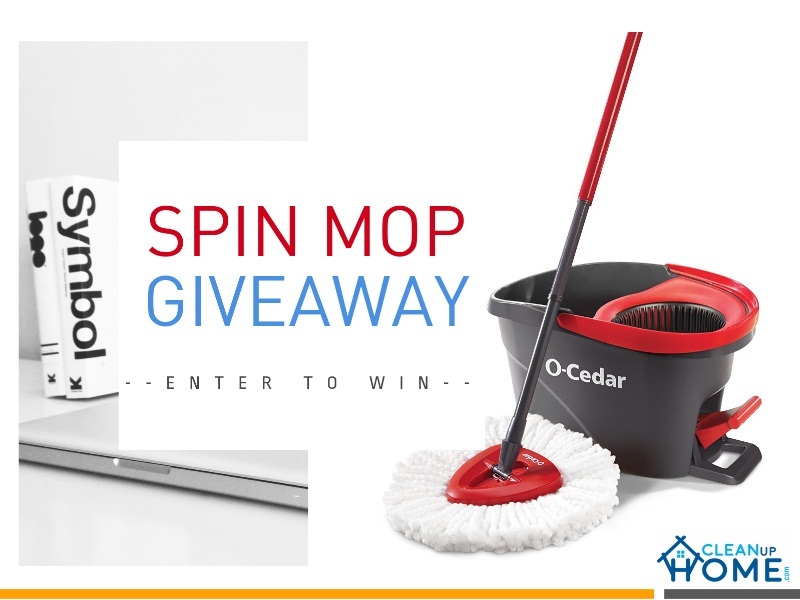 Ultimate Spin Mop Contest Giveaway that Changes Life IMMENSELY! Please note that terms and conditions apply to this contest. This Hands-Free Wringing Mop with a simple step on the EasyWring Foot Pedal and can help you, keep your home and office in a very rich glow. It has been designed to serve as a heavy-duty cleanup tool which can literally help you stay clean for life! This is something that you will not want to miss. You can increase the fun by sharing this with your family, friends and loved ones. Duration – The giveaway is open for entry starting May 4, 2018, and will be open through May 28, 2018. 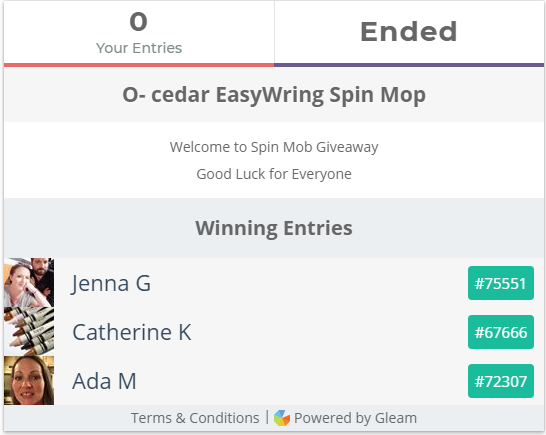 Prizes – O-Cedar EasyWring Microfiber Spin Mop. Entry – To enter the giveaway use the Gleam widgets above by clicking the respective entry buttons. You may enter via each of the various methods described within the Gleam widget. Only entries verified through the Gleam widget will be counted. Winner – There will be three(3) winners. 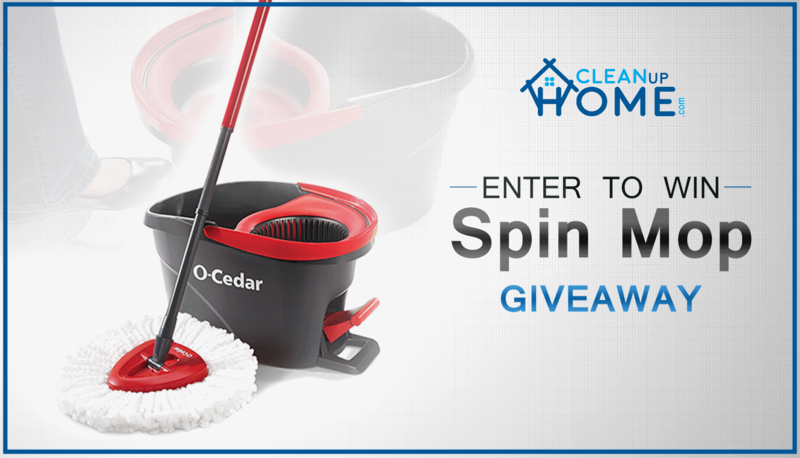 Each Winner will win one(1) O-Cedar EasyWring Microfiber Spin Mop. Winner will be randomly selected based on the total pool of entries. Winner will be drawn within 48 hours of the giveaway ending. Winners will be contacted via the email they supplied when entering the giveaway. Winners will have twenty-four (24) hours to respond and accept their prize. Non-response and/or non-acceptance of the prize within 24 hours will result in disqualification. In the event a winner is disqualified, a new winner will be selected until a winner has confirmed acceptance of the prize. Winners must provide a valid email address. If any case product not available the same prize amazon gift card will be provided. Eligibility – No purchase necessary to enter. Giveaways are open to residents of the United States and Canada who are at least 18 years of age. Taxes – There may be tax implications with accepting a prize. Winners will be responsible for reporting and paying taxes (if applicable). cleanuphome.com cannot provide tax advice. Please consult with your tax adviser before accepting the prize if you have questions. Got a question or comment? Send us an email here or drop us a comment down below. Would love to own one of these mops. Could really come in HANDY with my arthritic hands. Thanks for the contest. Looks like this would make a dirty job a lot easier, love that I could use very hot water since I would not have to touch until it get my hands dirty. Would love it. I want to win one of these mobs. Thank you.